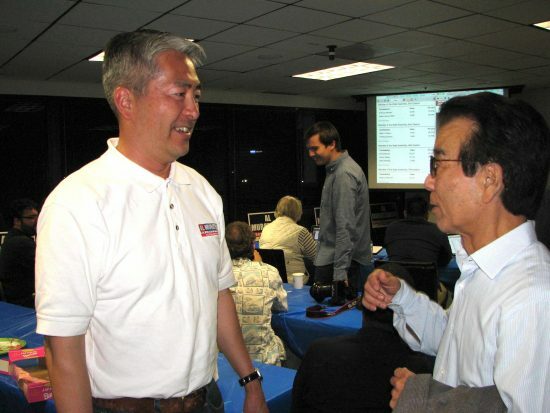 TORRANCE — Al Muratsuchi finished first among three candidates for the 66th Assembly District in the June 7 primary. The results as of June 18 showed Muratsuchi, a Democrat who lost his Assembly seat to Republican David Hadley in 2014, with 48,612 votes (48.5 percent) to Hadley’s 45,396 (45.3 percent), followed by Democrat Mike Madrigal with 6,142 (6.1 percent). Muratsuchi and Hadley will go head-to-head in November. “We won!” Muratsuchi said in a statement. “We got the most votes in the 66th Assembly District election … beating the Republican incumbent by three percentage points. Democrats received almost 55 percent of the votes cast for the South Bay Assembly seat in the June 7 primary election. This bodes well for the November general election, where the turnout will be even higher. The district, whose voter registration is about 40 percent Democratic and 33 percent Republican, includes Gardena, Harbor City, Hermosa Beach, Lomita, Manhattan Beach, Palos Verdes Estates, Rancho Palos Verdes, Redondo Beach, Rolling Hills, Rolling Hills Estates and Torrance. Muratsuchi has emphasized the importance of getting Democrats to the polls. Muratsuchi, his wife Hiroko and their daughter Sophia gathered with supporters at campaign headquarters in Torrance, where the mood was upbeat despite early results showing Muratsuchi and Hadley almost in a dead heat with 13,217 and 13,116 votes, respectively. The gathering, which included Torrance Mayor Pat Furey, City Councilmember Tim Goodrich, and Torrance Unified School District board member Terry Ragins, watched TV coverage of the election, which focused on the battle between Hillary Clinton and Bernie Sanders in California. On June 4, Muratsuchi had the opportunity to welcome former President Bill Clinton as he campaigned on his wife’s behalf at the Torrance Cultural Arts Center. Also on hand were supporters from the Japanese American community, including Chogi Higa of the Okinawa Association of America and Kanji Sahara, a member of several Democratic and community organizations. During the campaign, one of the flyers mailed to district voters stated that the Howard Jarvis Taxpayers Association had given Hadley an “A” and Muratsuchi an “F” on the issue of fighting higher taxes, and listed actions he had allegedly taken to raise taxes during his term in the Assembly. Muratsuchi has defended his record, saying that while in the Assembly he helped create jobs, restored funding for schools, supported homeless and disabled veterans, and fought for a safer ExxonMobil refinery in Torrance and against oil drilling in Hermosa Beach. Both candidates appeared at various Japanese American community events in the months leading up to the primary. Menlo Park City Councilmember Peter Ohtaki, a Republican, who finished third in the 24th Assembly District after Democrats Mark Berman and Vicki Veenker. Under the current rules, the top two finishers in an election go to the fall runoff, even if they are from the same party. “right-wing billionaire Charles Munger Jr”? Wow! Anyone who thinks that Munger is a right-winger is someone who is far to the left of Joseph Stalin.